Not everyone can keep hives in their garden. Sometimes space doesn’t allow it, or neighbours aren’t too keen! 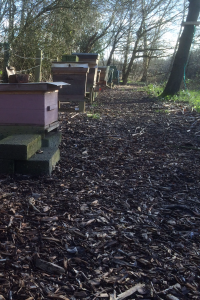 FBKA runs five out apiaries for use by members. These are plots of land leased from a landowner by FBKA, on which we have agreed a certain number of hives can be kept. 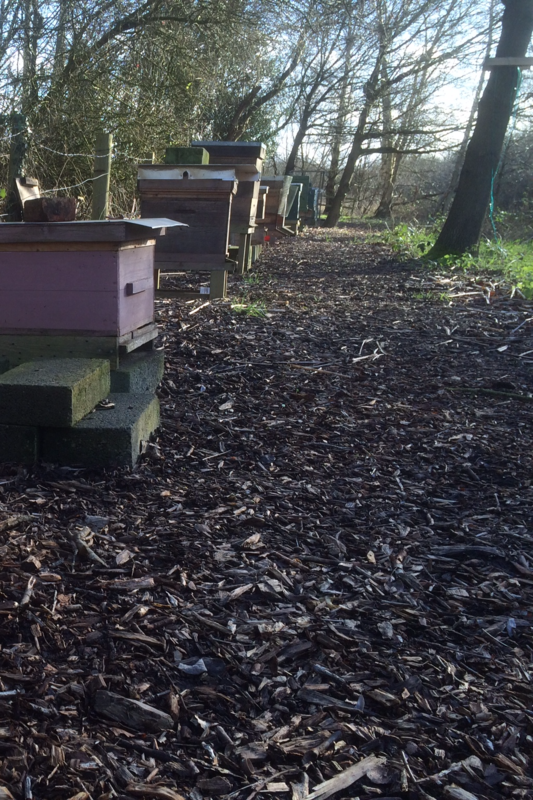 A small yearly charge, typically between £3-£6, is made for each hive kept on an FBKA out apiary to cover any lease charges and to pay for apiary upkeep. Less than the price of one jar of honey! people. Therefore it’s important that we do all we can to ensure that there are minimal issues, so we have to insist on a few ground rules. A typical set of out apiary rules can be read below. If you wish to keep a beehive at an FBKA out apiary site you’ll be asked to sign an agreement and abide by the rules for that apiary site, as well as pay any charges due. 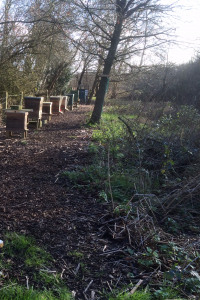 If you’d like further information, and to enquire about space availability, Mike Stanton and Graham Read are our FBKA out apiary managers and would be happy to help you. FBKA currently manage five sites in Church Crookham, Aldershot, Mytchett and Frimley. Please don’t disclose the location of the out apiaries outside the FBKA as we want minimise any chance of apiary damage or criminal activity. Unless you have spoken to Mike or Graham first please do not visit a site (unless of course you keep a hive on there), as we try to minimise traffic so as not to draw unnecessary attention to the locations.